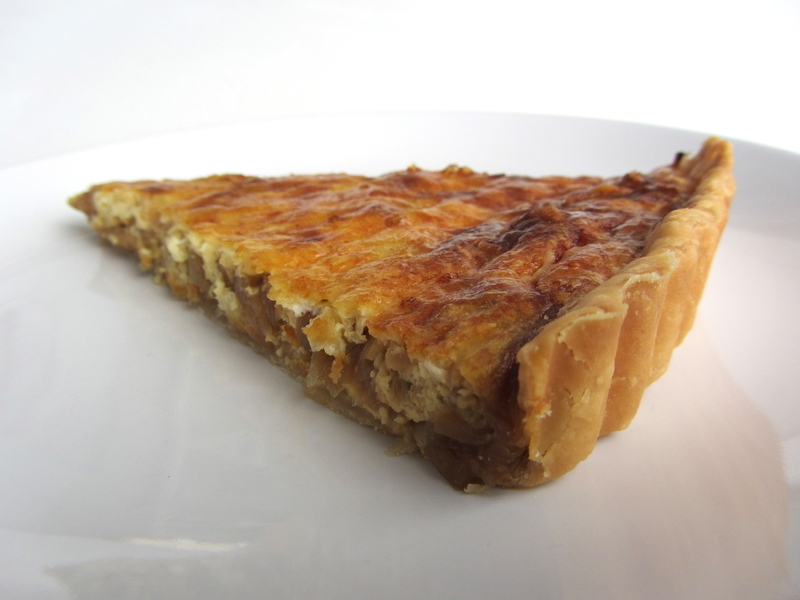 Aside from the time needed to prepare the onions, this tart is actually incredibly easy to make, with stunning results. 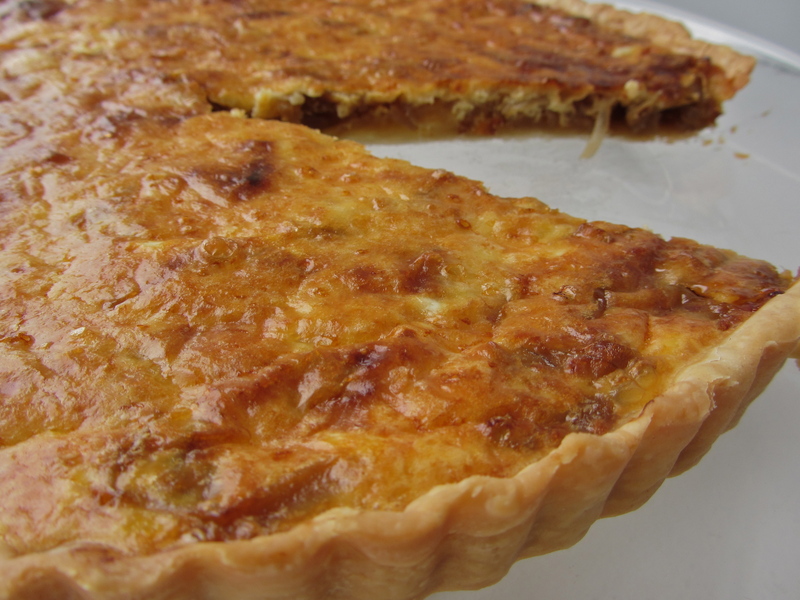 The star ingredient starts out so simple and humble, but with a bit of patience in its preparation and paired with the cheese and flaky crust, it is transformed into something that will sing in your mouth! 1. Cut the onions into 1/4 inch slices. Heat 1-2 tablespoons of olive oil in a large skillet over low heat, cook the onions with the salt and sugar, stirring occasionally (to prevent scorching) until they are translucent and have turned an amber color, about 45-60 minutes. Remove from heat, set aside. 2. Preheat oven to 375F. Press the pie crust into a 10-inch tart pan with a removable bottom. Spread the caramelized onions in an even layer into the piecrust. 3. Whisk together the eggs, and half & half. Pour over the onions, then top with the asiago cheese. 4. Bake at 375F until top of the tart is browned, about 30-40 minutes. * I use half & half because it yields a lighter filling. For a richer filling, use heavy cream. It’s heavier on the fat, but so worth it in taste! * For a more detailed look at caramelizing your onions, read up on it here. * If you want to go all-out, make a piecrust from scratch while the onions caramelize. You’ll definitely have the time!